"There are many stories of Narnia. The first is about to be told." 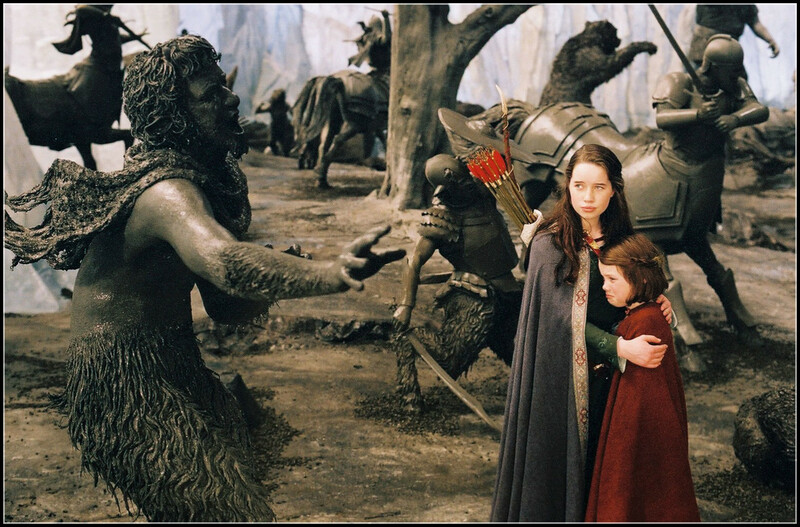 I'm doing three Film to Screen features for the "Chronicles of Narnia week" in December 2012. When I was a kid I somehow stumbled upon this animated movie and fell in love with it. (the 1979 version) I believe I originally rented it from a local tape store. Remember those before the days of blockbuster? I would love to go and rent tapes with my father every weekend. Sometimes I would want to watch this movie again and would have to re-rent it. I also saw it at times on television. When I was in my early twenties I wanted my son to experience the magic, so found the movie off ebay. He wasn't as into it, but oh well, still a great movie! I've always wanted to read the books and never had a chance until the past few years as I've been collecting them. This Page to Screen will do a review of the 2005 movie since it's the more well-known and modern. The music was lovely and added to the surreal, dramatics of the film, even if the first song or so could have been improved a bit. The score which included the female chorus was stunning and ramped up the sound experience. The battle itself also played out beautiful music that greatly amped the fighting and serious consequences resulting. I think the CGI for Aslan was excellent (same can't really be said for the very beginning of the movie with the air raids though, that looked pretty bad). Sometimes I do wish they'd used a stronger voice for Aslan, though. The beavers were...well, I guess as good as they could look with what they had. The other animals were a bigger improvement. 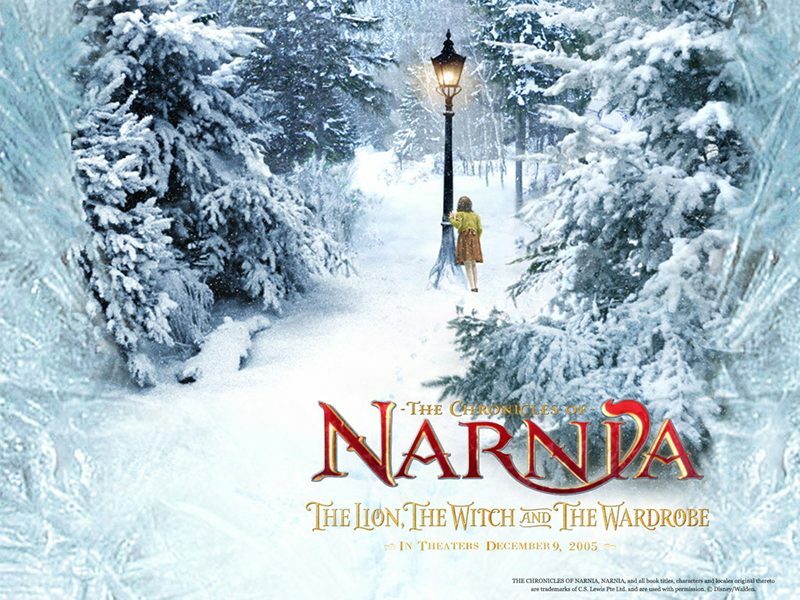 They made the land of Narnia beautiful in both winter and summer. The castle, the mountains, even the lamp post were all how I envisioned it from reading. One of the the best things about the movie was the intense and well directed battle scene at the end. It was a bit lengthy and they did an incredible job with it. Good acting from all four children! There was rarely a dull moment and the pacing was always swift and should keep the attention of most kids. I did have an issue with the White Witch, though. I do wish they chose another actress. She just didn't fit and have enough expression. There was something lacking from her role with it. Almost all was followed according to script. I did note that they did not refer to Aslan as the son of the Great Emperor, or the Great Emperor over the sea in the movie. I also missed his great roar. In the book, when he was revived and roared at the end to announce they were coming, it was heard throughout all the land. In the movie he roared but when it flashed to the battle no one hears it. While they kept everything from the book, they did add a few things too: Tumnus not being found frozen but being found in the same jail as Edmund to be spoken to. With the book you're left with a mystery for awhile. Tumnus was likely frozen, you think, but you wondered what else happened and when/if you'd get to see him and what this meant. In the movie they changed it to show a conversation between the two. Getting rid of suspenseful surprise, but they replaced it with some potent emotion and verbal exchange, especially when the queen called Edmund a traitor. I greatly enjoyed the battle scene. Much detail was given to it. Since the book was mainly in Lucy's viewpoint, you saw very little of the printed battle. In the beginning of the book the kids were shown at the professor's house with a paragraph or so explaining why. In the movie they show the air raids and what leads to them being sent away in the first place, and also the background on the father and why this made Edmund so resentful and difficult for awhile. They tried to give another reason for his sorry state, while in the book it was presented more as a factual way of just "how he was." And we all know there are some kids who are exactly like Edmund "just because." I do miss the powerful scene in the book to where the Witch comes across the partying animals in the middle of the emerging winter thaw, where the sweet things are feasting and making noises of joy, before viciously weaving her wand to turn them into stone, suspended in the midst of their joy and happiness around the table (also turning it to stone.) A powerful moment. I think the movie left it out because they changed the chase sequence, but it's absence was felt. I think that they should have worked it in somehow. The action was stimulating for the chase changes, but adding this scene too would have made a dramatic emotional impact that was needed to add more color. I'm glad the movie stayed true to the main characters and the heart of the story. It kept all elements and added a few more. As mentioned above, they did change the chase scene a bit to make it more "exciting," maybe to viewers? The 1979 version of the animated movie is so identical to the book I honestly see little reason to compare. They are as enjoyable as the other. Even most of the dialogue is kept the same. Seriously, almost every word, word for word, and every scene in sequence. Since it was written in a fairy tale way not much inner emotion and internal monologue is really used, so you get as much impact from the movie as you do the book. The 2005 movie was excellent as well. I also think it's almost as good as the book. A little more magic is felt reading the written word in CS Lewis's creative style, but with the movie the battle scene was lengthened and made more dynamic. So, in short, there is a certain flatness and lack of magic with some of the movie but that missing magic is in the book, but I do applaud some of the additions they made to the movie to flesh the story out further.